Kochi, also known as Cochin, is the largest city in Kerala. Kochi is made up of small islands and peninsulas along the south-west coastline of India which is part of the Arabian Sea. 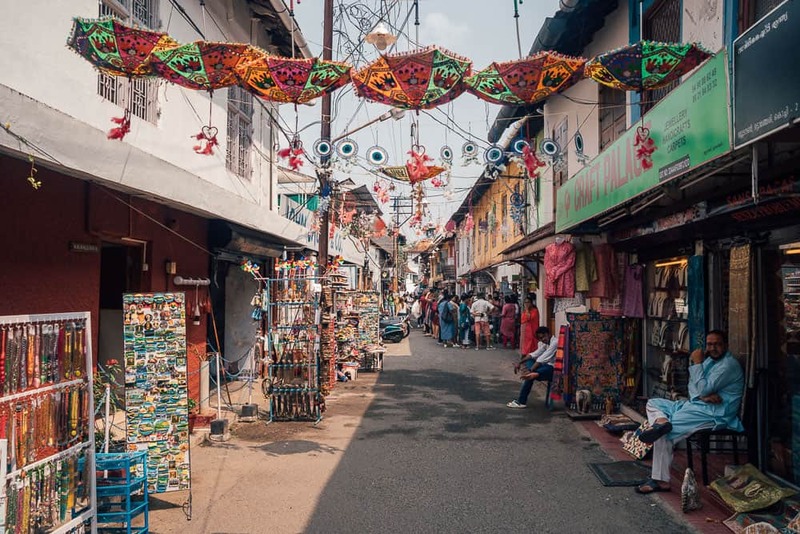 Kochi has been a port since the mid-1300’s when a massive flood carved out its harbour and opened it up to merchants from Arabia, China and Europe. 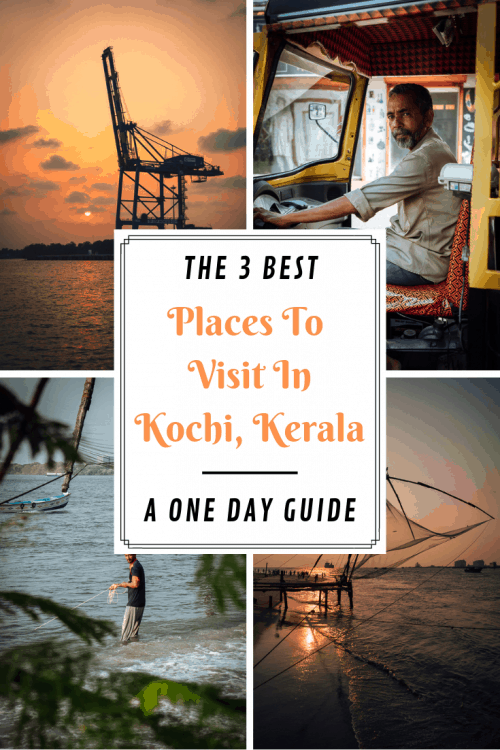 I spent one day exploring the Fort Kochi region and have put together this one day guide of the best places to visit in Kochi to help you plan your trip! By Plane: Arriving by plane to Kochi International is the easiest and most convenient option to begin your adventures in Kochi. I chose to fly with Air India, which is the country’s most reputable airline offering daily flights serving both international and domestic arrivals, excellent customer service and all-around comfortable experience. Click Here to search availability and rates with Air India. 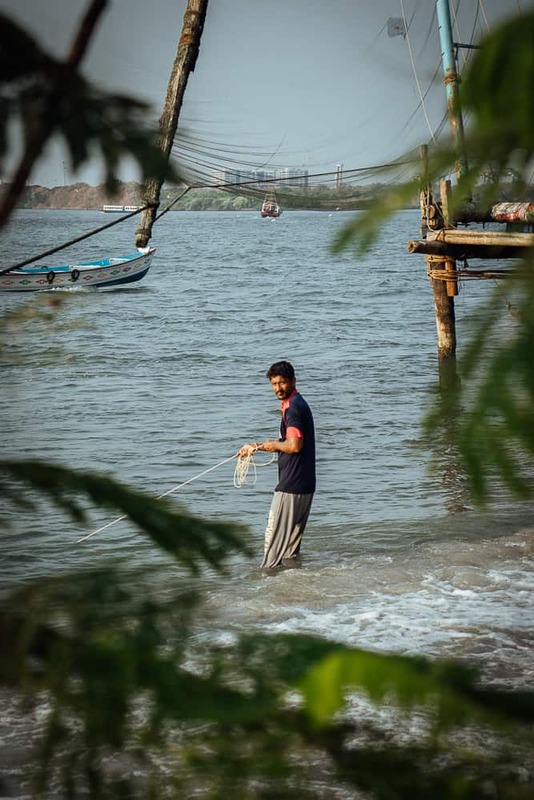 By Train: Alternatively, the most common route of getting to Cochin is from Goa. There are trains from Goa to Kochi on a daily basis. Be sure to book online in advance to secure your seat on the train. I would recommend travelling in 1st class as these carriages have air-conditioning. 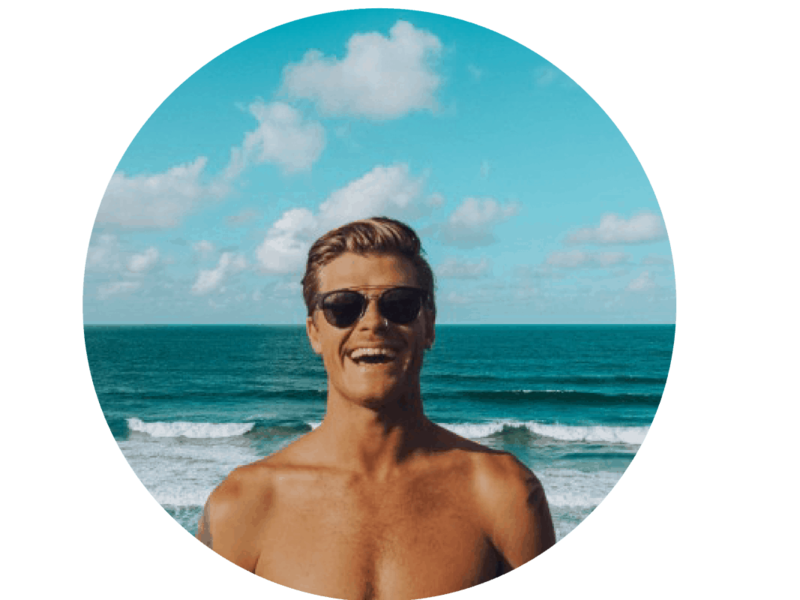 Another option is to stay in an Airbnb, which has some great deals in Kochi – Get your $40 Airbnb discount here! One of the best ways to get around in order to visit all of the Kochi points of interest is by tuk-tuk. 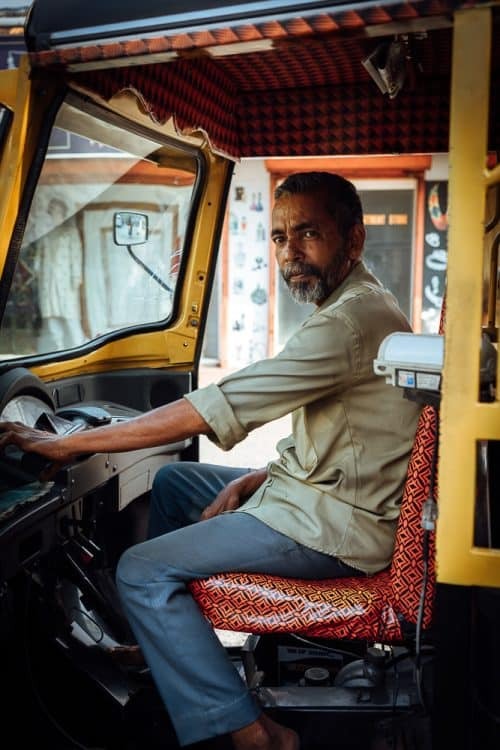 The minimum cost for a tuk-tuk ride is 30 rupees for up to 2km and for a 5km ride, the cost is around 100 rupees. Another great way to get around to see all the best places in Kochi is by making use of the local ferries that frequent the waterways in the region. Local ferries cost no more than 5 rupees per ride. 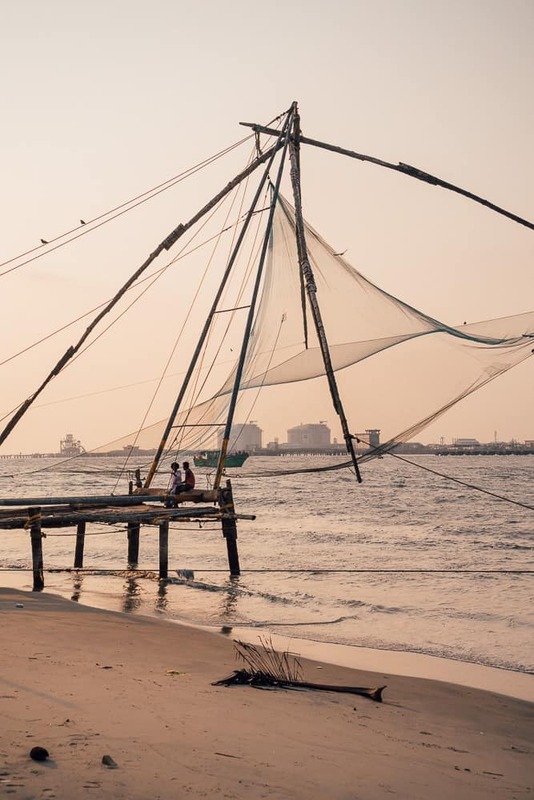 A visit to the cantilevered Chinese fishing nets along the shoreline of Fort Kochi beach is one of the best things to do in Kochi. 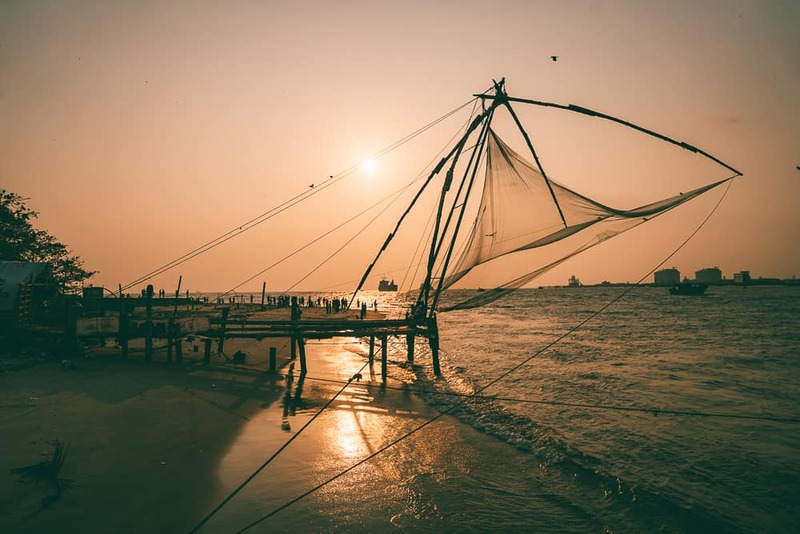 These Chinese fishing nets are arguably the most popular tourist attractions in Kochi which are greatly photographed, especially at sunset. The origin of the nets is still debated upon. 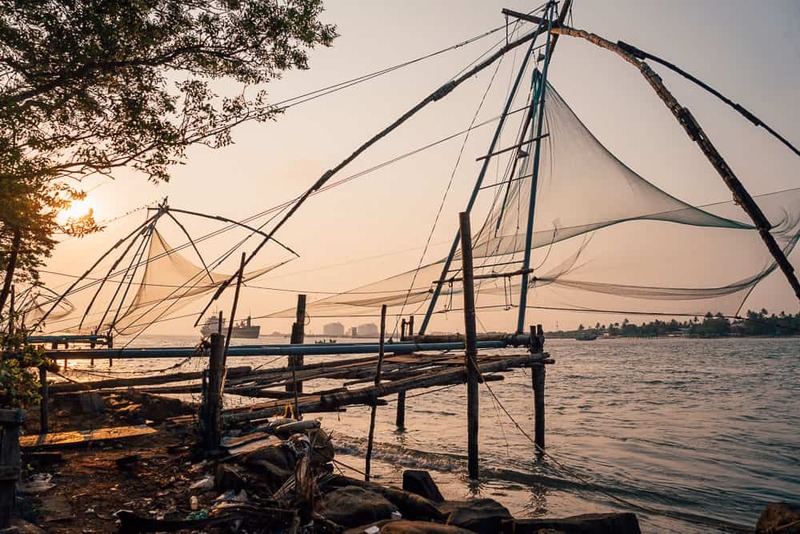 Some say the Kochi Chinese fishing nets were introduced during the 14th century by the famous Chinese explorer, Zheng He. 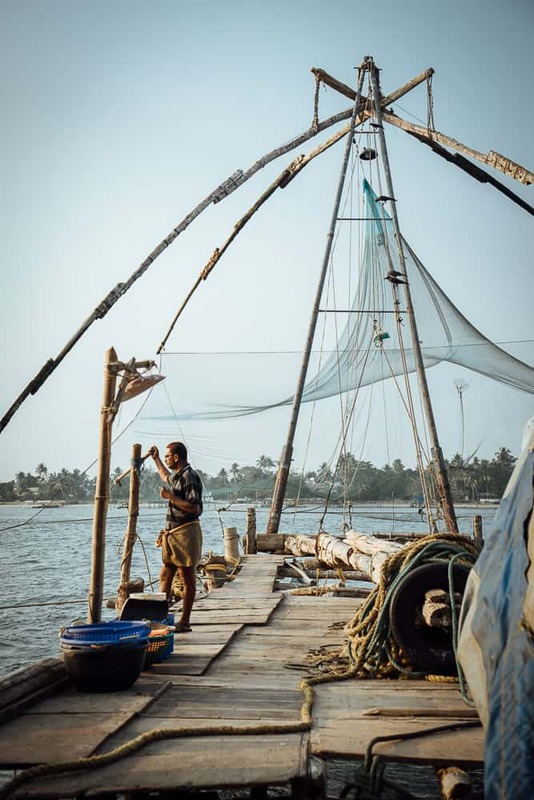 Others say that the design of the nets was brought in by the Portuguese who colonised Kochi in the 16th century. Irrespective of who brought them in first, the Chinese fishing nets are a significant symbol of the rich exchange of culture during that time. These shore-operated Chinese fishing nets work on simple physics, much like a weighing balance going up and down according to the weights placed on it. The elegant construction of the Chinese fishing nets are made up of bamboo, teak wood and ropes and it takes usually a team of five to six men to operate the nets on the platform. 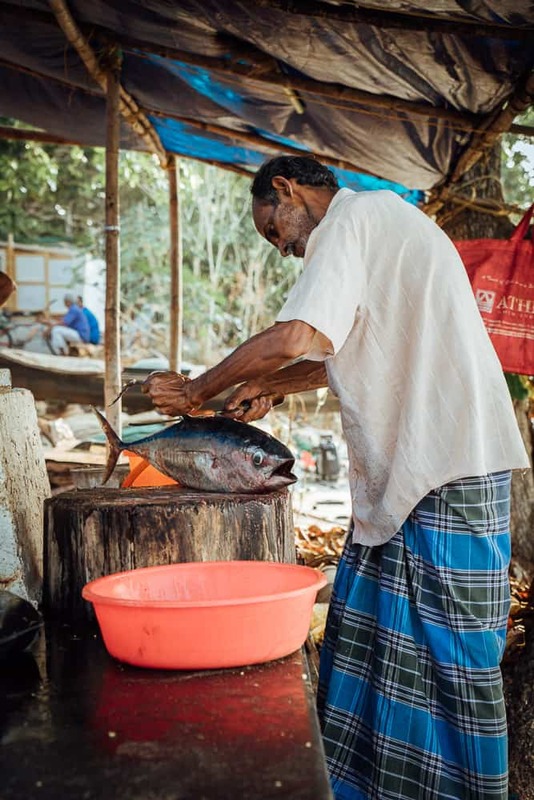 Also, along the shoreline of Fort Kochi beach, you can find street vendors serving up the best catches of the day! The St. Francis Church is another one of the best places to visit in Kochi on your Kochi sightseeing route. Built in the early 1500’s, the St. Francis Church is believed to be the oldest European-built church in India. 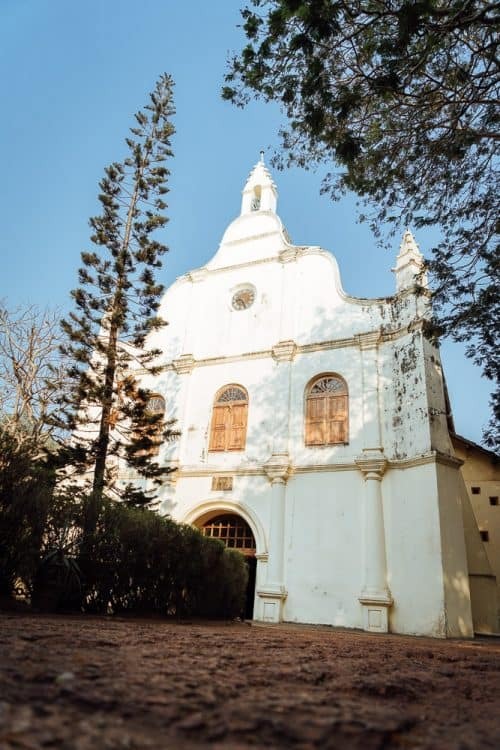 The St. Francis Church’s claim to fame is for being the burial place of the late Portuguese explorer, Vasco De Gama, when he died in 1524. Although his remains were relocated to Lisbon, his tombstone at the St. Francis Church Kochi attracts hundreds of visitors every year. The St. Francis Church is well known for its Portuguese and Dutch influences and it is an architectural marvel in itself. There are also a few street side vendors out the front of the church selling nic nacs, souvenirs, snacks and fresh coconuts. 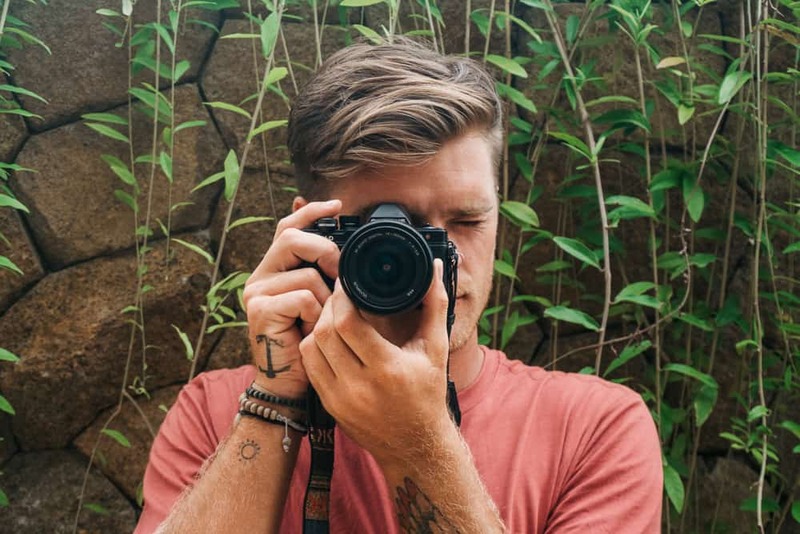 Free ∼ Get your $40 Airbnb discount here! 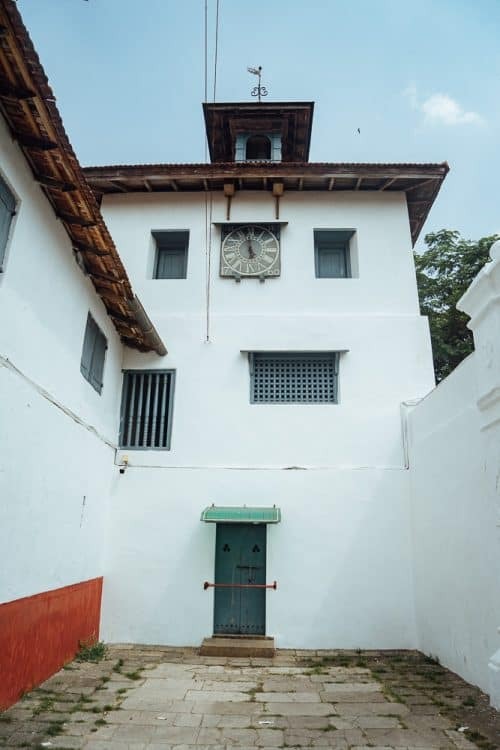 The Paradesi Synagogue is most famous for being the oldest synagogue in the Commonwealth and it is a must-see attraction on your list of places to visit in Cochin. This Jewish Synagogue is located in Jew Town, Mattancherry. Built in 1568, the Paradesi Synagogue was most frequented by Jews from Europe and the Middle East. The synagogue features a gold-painted pulpit, rare antiques, a mesmerising Belgian chandelier, patterned floor tiles and an impressive clock tower. 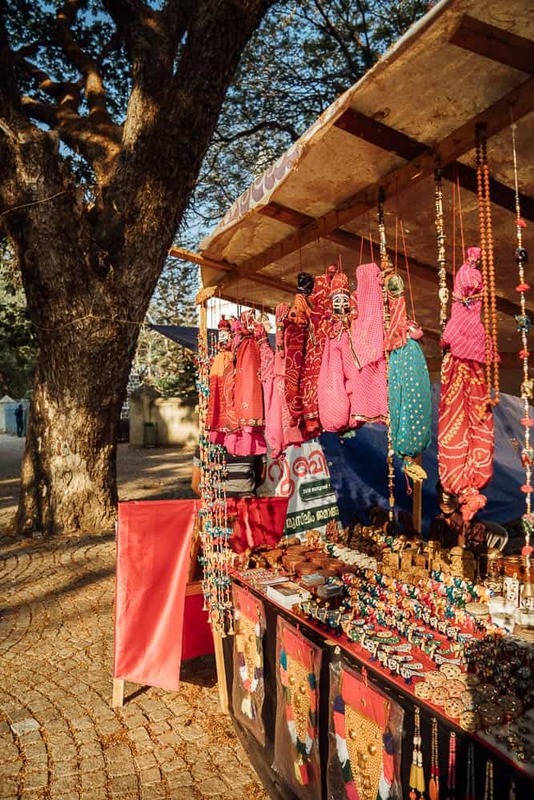 The way to the Paradesi Synagogue leads you down narrow laneways lined with souvenir stores and colourful overhead street decorations. 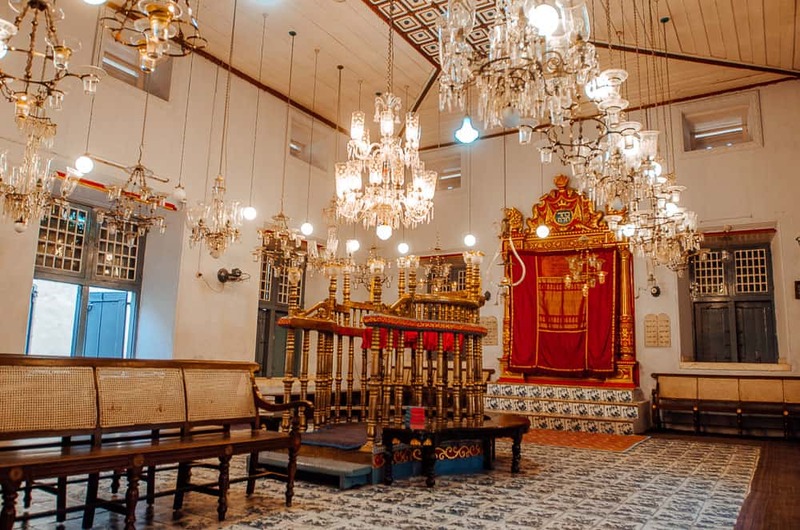 Be sure to add the Pardesi Synagogue to your itinerary as it’s one of the best tourist spots in Kochi! The Paradesi Synagogue is open every day except Friday’s and Saturday’s, from 10am to 5pm. The best time to visit Kochi, weather-wise, is in the Winter months between October and February. During this time, temperatures are on average between 17°C and 33°C. Summer in Kochi, March to June, sees soaring temperatures of up to 37°C and it’s not the most ideal time to travel in Cochin. Also, definitely try to avoid the monsoon season in Kochi which is between July and September. 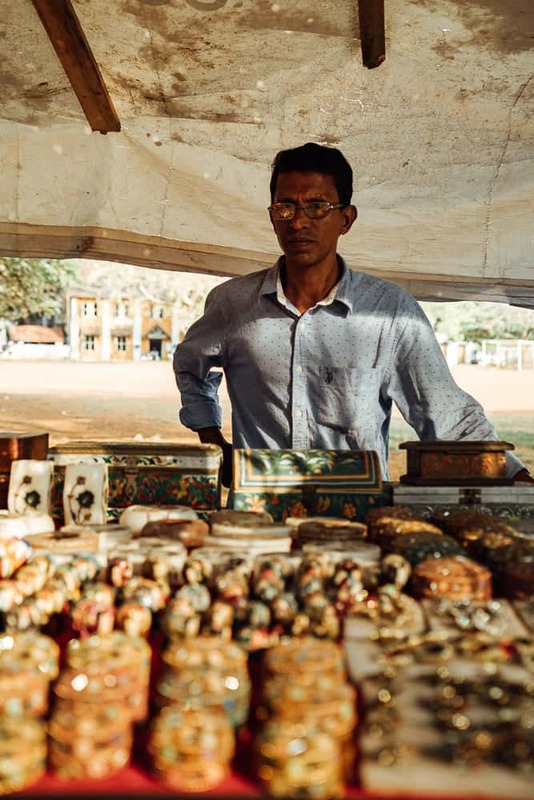 I hope you enjoyed reading this article and if you have any questions about the best Cochin tourist spots, please leave me a comment below and I will get back to you as soon as I can! During my last visit, I could only spend 2 hours at Fort Kochi beach and sadly I end up visiting just Mattancherry Palace Museum. Have you been to there? it was such an amazing place depicting the history of Kochi and the ancient Travankor state. Hi there, no I haven’t been there unfortunately, only the three spots in the article I had the chance to visit!